Postage. Prints will be packaged and sent in a cardboard mailer envelope. Note, this print comes with a round embossed logo in the top right corner. With its vibrant shade of blue green, the Amazonite crystal is said to reflect the lush foliage of the Amazon rainforest and its calming stress free energy. Amazonite is a strong stone for communicating. With its active metaphysical properties and potent vibration, it works powerfully through both the throat chakra and the higher heart chakra. Amazonite also helps you to align your speech to your higher ideals, and speak using words that clearly outline your real truth. Rainbow Moonstone is often associated with tapping into your inner feminine Goddess energy. This stone is excellent for bringing patience and insight into the day to day 'busyness' of life. Rainbow Moonstone may help improve lucid dreaming and also allow women in particular to tap into automatic creative abilities. You may notice this stone's power enhancing or declining in synchronicity with the cycles of the moon. Labrodite is the stone for transformation and imparting perseverance and connection with creativity. 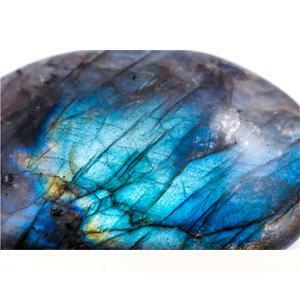 Labrodite protects against negativity and also helps one connect with their spirituality and any special gifts available to them such as clairvoyance, psychic readings and telepathy. This stone is also great for supporting harmonious working environments and recharging depleted energy if you have been doing too much. Kunzite is often referred to as the Woman's stone. It is a particularly supportive stone for women entering motherhood, single mothers and newborn babies. This stone is a powerful support for children having a hard time adjusting to or functioning in life. It is especially helpful for children who are experiencing over-stimulation or over-activity. It can also provide insight and encourage young girls entering puberty and other key life stages to love and accept their body. 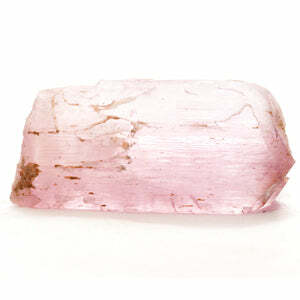 Kunzite is often referred to as the Woman's stone. It is a particularly supportive stone for women entering motherhood, single mothers and newborn babies. It can help with infant sleep issues and also for mothers who may be struggling to care for children or adjust to motherhood. Aqua Aura is a realigning and balancing stone, which works through balancing energies; male and female, yin and yang, emotional, physical and spiritual states. This stone is a magical stone often used for attracting more wealth and abundance in life. 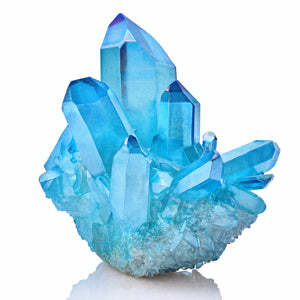 It opens up the throat chakra and also enables better communication and information flows within relationships. If you are interested in developing your spirituality connections, psychic or mindfulness abilities, this is an excellent stone to support you. It is often used to enhance clairvoyance, clairaudience, clairsentience and spiritual healing skills. Selenite is a stone of mental clarity. This clarity enhances mental flexibility and enables strong decision-making abilities. It can affect every day life as full mental clarity into play to lesson confusion and mental disorientation. 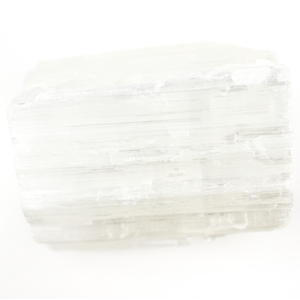 Selenite is also a stone of truth and honesty. This promotes good business practices as well as honesty in other types of relationships. 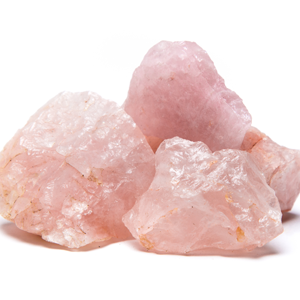 Rose quartz promotes unconditional love, forgiveness, infinite peace and compassion. It creates harmony in relationships and teaches us about the true essence of love. It purifies and opens up the heart allowing us to express our emotions. It reduces stress and tension, allowing us to express love, sensitivity and compassion towards ourselves and others. Rose quartz brings a deep inner healing, enhancing self-love, self trust, self worth and self-confidence. It can be used to attract love into your life and maintain a happy loving relationship. 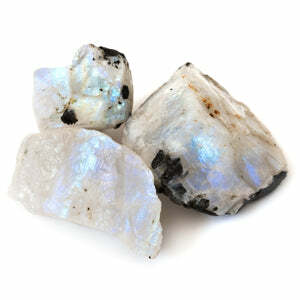 Opal is a stone of inspiration, which enhances imagination and creativity. It can bring inspiration to projects and to life and Spirit. Herkimer Diamond Quartz is called the "stone of attunement". It can be metaphysically programmed to attune to any environment or situation. It assists with creating balance on the mental, emotional and physical levels. It can be used effectively to clear and open any chakra. It is professed to relieve tension and thereby promote peace of mind. Jade is a healing and dream stone. It promotes self-sufficiency, releases negative thoughts and helps calm the mind. This stone is particularly powerful for releasing irritation and other unhelpful emotions. It helps uncover personal insights and encourages you to step into your own personal power to be who you truly are. Jade is an incredible stone for letting go of old negative patterns which may be holding you back from your potential and reconnecting with your life purpose. Clear Quartz works on all areas of the mind and body, awakening, amplifying and transmitting energy and clarifying thought processes. It is an excellent stone for meditation, directing energies with more intensity. It connects to the higher self, removes negativity and allows access to your spirit guides. Clear Quartz provides clarity in thinking and awareness. It is also a powerful healing stone for any ailment or condition. Agate is the perfect stone for balancing, protection, strength & harmony. Agate enhances creativity and strengthens the intellect, while also increasing energy. It is also known as a good luck stone. 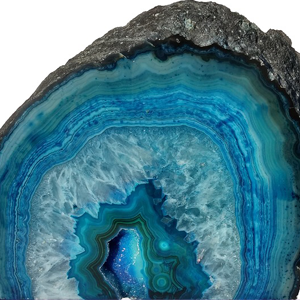 Agate is a very protective stone. Emotionally, agate gives courage, emotional strength, self-confidence, and dispels fears. In the same way, it assists with acceptance of all things. These qualities make agate superior for easing anxiety and stress. Because of the harmonising qualities of agate, and its emotional energies of removing and releasing resentments and bitterness, it is also considered by many to be an excellent stone to heal and improve relationships and remind us of the nature of karmic energy (ie. What flows out, comes back). Amethyst is a meditative and calming stone, which works in the emotional, spiritual, and physical planes to provide calm, balance, patience, and peace. 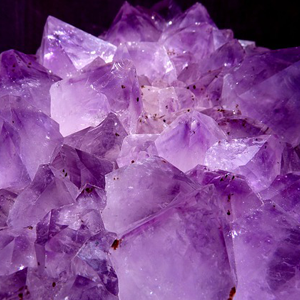 Amethyst is used in crystal healing to help heal personal losses and grief. This crystal also promotes peacefulness, happiness, and contentment. It can bring emotional stability and inner strength, and is known for increasing spiritual awareness and psychic ability. Or 6 weekly interest free payments from $6.50 today & 5 weekly interest free payments of $240.00 with what's this?